Available in the beach area, not in the cabin. Disability/wheelchair accessible: Not at this property. Smoking inside or near the unit: Not allowed. Nearest Airport: Madeira International Airport - 10 minute ride. Location: Caniço-de-baixo – Galo Resort Hotels, Galomar Beach. Wide open with a magnificent view over the ocean, this glamping hut is located in a unique nature reserve beach. The hut has it's on portable WC, shower bath can be enjoyed in the close by beach locker room. 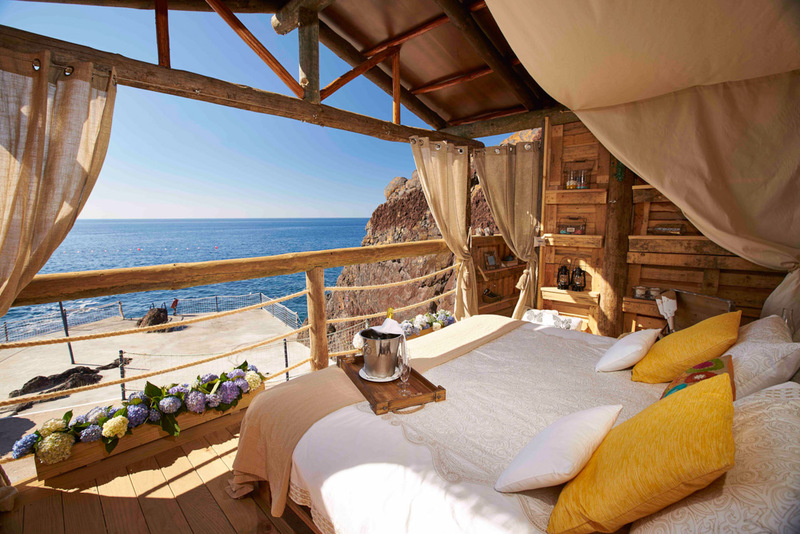 For privacy concerns, guests are advised that this property's sea platform is available to all resort guests, which is in front of the glamping hut. The sea platform is open from 9:00 am to 7:00 pm.